For any lock and key related issues, we are here to help and if your situation requires an immediate response, we are available 24 hours a day. 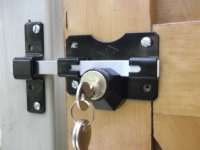 From problematic and faulty locks to lost keys, gate locks, garage doors, windows and doors, we have the expert knowledge to provide a cost effective and speedy solution to whatever your requirements might be. Just give us a call and talk to one of our local experts for an honest, cost effective quotation. 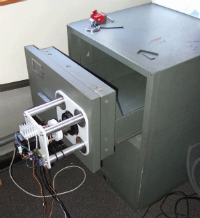 If access is required to window or door locks, we can help. 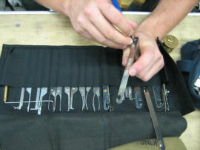 Our team are familiar with all major types of lock and key, new or old and are fully trained in the art of locksmithing, lock picking and lock maintenance. We will, where possible be able to reuse your original locks and will tackle the job with due car and attention to avoid unnecessary damage and to keep your cost low! Are your door and window locks in need of an upgrade or service? Prevention is certainly better than the cure! If you are having issues with old locking mechanisms, sticking locks or locks that have seized, it’s a good idea to have them serviced. Our locksmith can visit your premises to provide this service and at the same time can offer expert advice on replacement locks and security upgrades. We are familiar with all types of lock and every type of key and having been in the business for over 20 years, we certain to be able to deal with your issues promptly and professionally and without breaking the bank! Avoid running into future problems by keeping your door and window locks up to scratch! Harsh weather and prolonged exposure to the elements often means that at some point, your garage or exterior gate locks may be in need of some attention or become seized with age and rust. We are familiar with exterior locking systems which include automatic gates and entry systems that require a digital code. If you have lost or forgotten the code to a digital lock or if you have lost the main key and need a replacement, we have it covered. Of course, any work we do can be carried out while you wait which includes the cutting and duplicating of keys for your new locks. Call our team today and discuss your requirements and we can happily put together a no obligation, free quotation for you.